It was when the couple next to me on my flight from Miami to Philadelphia was telling me about their trip to St. Lucia that I realized what was so special about Trinidad: The story with Trini is that there is no story in terms of tourism. 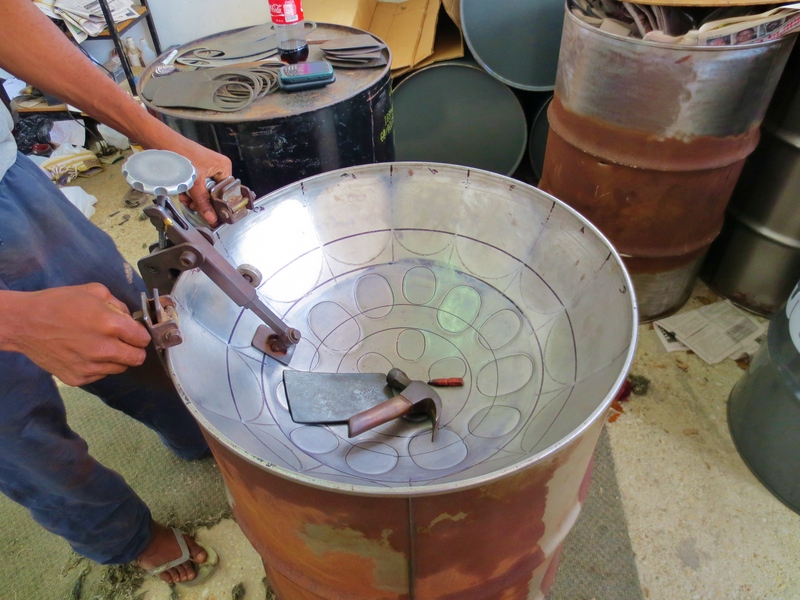 The steel pan, or steel drum, was invented in Trinidad. Photo by Wake and Wander. 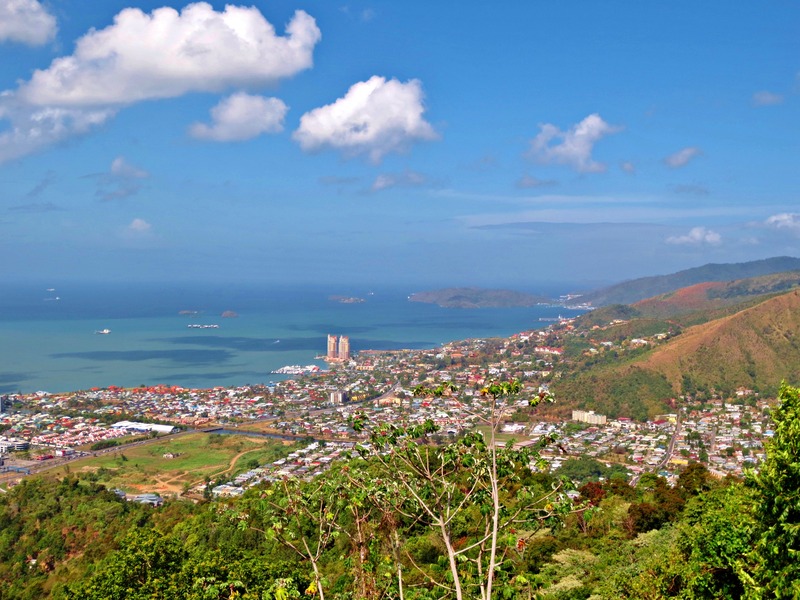 Unlike its sister island Tobago, Trinidad does not thrive on the dollars coming from the pockets of tourists – oil and natural gas are what helps to keep it self-sustaining. So don’t picture every other island in the Caribbean that you’ve been to, because it’s really nothing like them at all. While 99% of the Caribbean islands are centered around making things cozy for vacationers, Trinidad is really an island for travelers. And that’s what I came to enjoy so much about the island, the work you really have to put in to get something out of it. In my four days on Trini, I visited one beach. Compare that to my one day on Tobago where I hit two of them. It’s just not that easy, and if you’re looking to lounge all day, Trinidad honestly isn’t the island for you. It’s for people who want to displace themselves into the local culture, interact with others, and who don’t mind travel times of 30 to 90 minutes in route to discovery. It is, by no means, a small island at approximately 2,000 square miles. I have one more thing to show you from Tobago – a fountain of youth, so to speak – and then I’ll take you through a few of the unique adventures I found on Trinidad. Some of it is classic Wake and Wander, like nature, street food, and rum shops, but I think a few of the others might surprise you. Stay tuned. You can get a preview by checking out the on-the-go photos on Facebook. 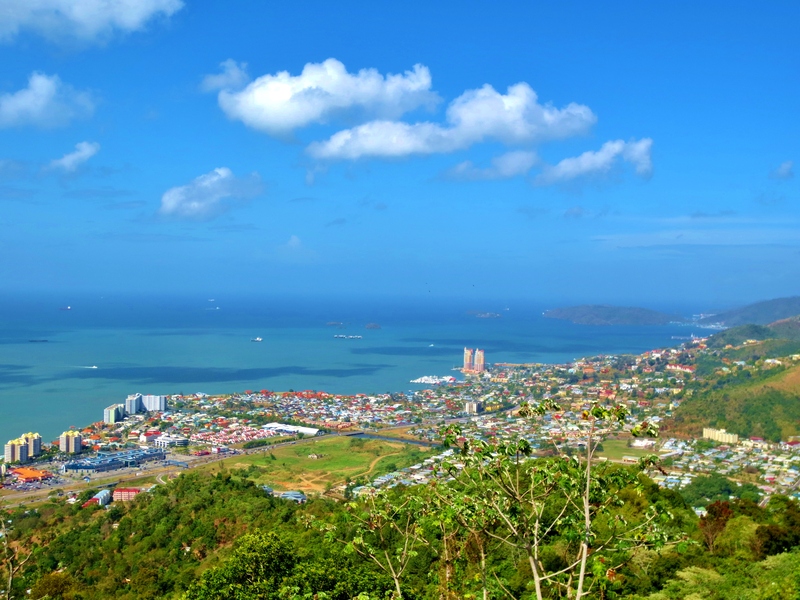 View of the Port of Spain coastline in Trinidad. Photo by Wake and Wander. There’s nothing charming about the lack of security, safety, and respect for the environment in Trinidad. Hey Jay. I felt safe. Respect for the environment seems to be lacking everywhere, so let’s be fair. What was your specific experience? Been more than once. Not gonna mention any specific experiences but there’s is much work to be done. To say otherwise would be naive. Well Jay I think it is unfair to speak so generally. There’s parts of NYC that have garbage everywhere, too. My hometown of Philadelphia is a mess in certain places. Does that mean both of those cities are unfit for tourists? I stayed in Port of Spain and visited lots of the local places, including St. James and the Ave., and traveled all over the island. Sure, there are parts that look like a city, that could use some clean up. But that doesn’t mean the culture and offerings of the island should be overlooked. You wouldn’t do that for New York City, so why do it for Trini? Almost all of my travel writer friends who have been mugged have been mugged in NYC. You need to speak to specific advice… such as, stay out of this place or that place during this or that time. You give people the wrong idea by putting a blanket statement over the island. Also there’s garbage everywhere an the only thing they recycle is beer bottles. It’s not uncommon to smell burning garbage piles, and idling your car for long periods of time is common place. What part of trinidad did you stay in lol? trinidadians are soo critical of their own country – are u trinidadian jay?. trinidad has a very special vibe and if you feel it you know it…. some people just will never feel it…i feel it every day in my interaction with trinis..
Will McGough, I commend you on your stellar ability to think critically. Let me first say that I’m from Trinidad and Tobago, and am, therefore, biased to defend both islands. However, I lived in both North Carolina and New York (for 6 and 5 years respectively) and I know what is to be careful of where you go because of the likelihood of a higher incidence of, shall we say, bad luck. Even with that, I would not discourage a visit as long as the potential visitor’s expectation is in line with what can be offered. As for Jay, well let’s just say he’s part of a long and “illustrious” line of non-critical thinkers who hope to sway public opinion with their pronouncements of generalities that have no contextual basis. Right on, Jason. I think we have to be specific in our criticisms, because there are good people everywhere and there are bad apples everywhere. You just have to know how to navigate the waters. Cheers!